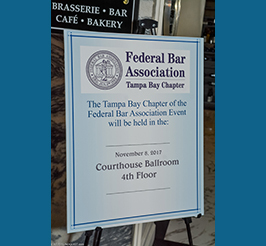 Welcome to the Tampa Bay Chapter of the Federal Bar Association. Please click on any of the links below to learn more about our programs, or how you can become active in the chapter. One of the most significant factors contributing to an attorney’s professional success is the presence of an effective mentor. The FBA Mentoring Program provides participants with an opportunity to form mutually beneficial relationships that foster professional growth and career development. The Pro Bono Committee of the Tampa Bay Chapter of the Federal Bar Association matches up lawyers who want to provide limited pro bono assistance with indigent pro se litigants in civil cases in Tampa federal court (that is, lawyers who volunteer their time to help people who are parties to litigation in federal court but who cannot afford a lawyer, only in civil cases, not criminal cases). This guide is the product of work of librarians, lawyers, and judges from around the district, with special thanks to the lawyers of the Tampa Bay Chapter of the Federal Bar Association and the members of the Pro Se Assistance Committee of the Bench Bar Fund. This guide is intended to help people who are proceeding in court without the help of lawyers. As a mere guide, it should not be cited as authority. This guide was last updated on February 14, 2014. Staying in the Game is intended to foster dialogue to address the gender disparity in the legal profession by identifying specific steps that law firms, organizations, law schools, and lawyers can take to encourage female lawyers not to take themselves out of the game but instead to continue on the path toward leadership positions. 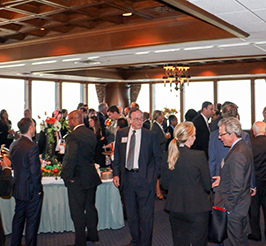 The Kickoff CLE for the program was held on January 29, 2015, at the University Club in Tampa. The program included welcoming remarks by Anne-Leigh Moe, President-Elect of the Tampa Bay Chapter of the Federal Bar Association, a presentation from Susan Healy, Chair of the Florida Bar’s Committee on Diversity and Inclusion, and two panel discussions moderated by Dean Christopher Pietruszkiewicz of Stetson University College of Law. The Lawyer Leaders panel included Lee Bentley, Amanda Buffinton, Susan Healy, Kevin Johnson, Mary Mills, Anne-Leigh Moe, Kristin Norse, and Hala Sandridge, and the Federal Judicial Panel included the Honorable Virginia Hernandez Covington, the Honorable Charlene E. Honeywell, the Honorable Elizabeth Jenkins, the Honorable Elizabeth A. Kovachevich, the Honorable Anthony Porcelli, and the Honorable Mary S. Scriven. Each panel discussion was followed by a Roundtable at which participants in the program had the opportunity for small group discussion. The Staying in the Game program will continue throughout 2015 with a Sustained Dialogue series of smaller discussion groups, with the first Sustained Dialogue discussion group meetings in April. The program will conclude at the end of 2015 with a wrapup CLE and written report to summarize and share strategies for what law firms, organizations, law schools, and lawyers can do to encourage more women lawyers to “stay in the game.” The program will continue in 2016. The Tampa Bay Chapter of the Federal Bar Association Young Lawyers Division consists of approximately 125 members who (i) are 40 years of age and under or (ii) have been admitted to practice for 10 years or less. The FBA YLD was created in 2012 under the by-laws of the Tampa Bay Chapter of the Federal Bar Association. 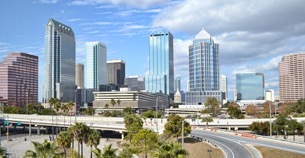 The purpose of the YLD is to increase the interest of younger lawyers in the FBA’s activities on both a local and national level; conduct programs of interest and value to younger lawyers; and to assist in the establishment, improvement, and coordination of active younger lawyers in the Tampa Bay area. The mission of the FBA is to strengthen the federal legal system and administration of justice by serving the interests and needs of the federal practitioner, both public and private, the federal judiciary and the public they serve. The FBA is dedicated to the advancement of the science of jurisprudence and to promoting the welfare, interests, education, and professional development of all attorneys involved in federal law. 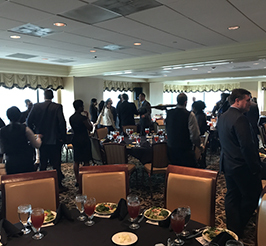 The “Brown Bag Luncheon” series has become one of the most well-received continuing programs of the Tampa Bay Chapter of the Florida Bar Association. The Brown Bag Luncheons provide a unique opportunity for members to meet, have lunch with, and ask questions of local practitioners in an informal setting. George C. Carr Memorial Award, named after United States District Court Chief Judge George C. Carr, recognizes excellence in federal practice and distinguished service to the Federal Bar Association. It is presented annually to a lawyer who exemplifies Judge Carr’s characteristics of common sense, integrity, and service, as well as a lawyer who has made significant contributions to the Federal Bar Association.